Google and Motorola's rumored X Phone project is murky at best; it's difficult to narrow everything down into one specific product. At first we thought one big flagship was being worked on to take out devices from Apple and Samsung, and then we heard a speculative "build-to-order" report that would hand control over to the consumers. So when we are presented with yet another leak—with a supposed render—we weren't sure how to react. 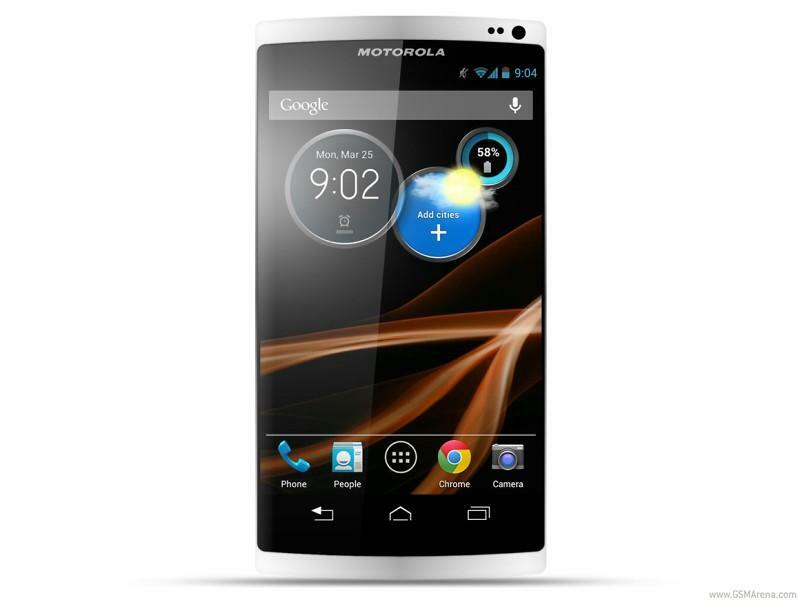 The device you see above is reportedly the Motorola X Phone, which we should see unveiled at Google I/O in May. The design itself looks premium, with what we can only assume is an aluminum body, while the specs attached to the device certainly sound capable of competing with the biggest handsets out there (it's not always about specs). According to specs provided to GSMArena by an anonymous tipster, the water-resistant device will sport a Snapdragon 800 processor, a 4.7-inch display with a 1280 x 768-pixel resolution and a 4000mAh battery. Ok, so maybe we don't see a full HD display, but a monster battery is onboard—that's been one of Motorola's strongest suits with its Droid Razr Maxx HD. In addition, the device will run Android 4.2 (I guess no Key Lime Pie?) with only minor customizations, and will ship equipped with a Gorilla Glass 3 screen. Rumors surrounding a supposed X Phone have been all over the map, so it's hard to know how and where to place this on our rumor bookcase. We likely won't know anything for sure until May, so for now we'll have to wade through the continuing X Phone saga, which is one of the more confusing in recent memory.